If you are planning on being active this summer, it is important to stay cool and dry while still appearing stylish. 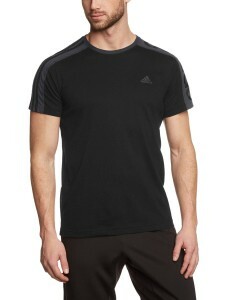 The line of Climalite adidas shirts claims to offer such benefits. However, are these statements justified? Our experts have put these shirts through grueling tests so that you can be certain to make the most sensible choices. Climalite is a type of revolutionary fabric that is intended to wick sweat away from the body. In turn, this will help to cool the wearer while providing superior levels of comfort. Indeed, our users did find that they remained ventilated when performing high-endurance exercises. While the fabric itself was quite dense, the majority of testers did not encounter any problems when training. A reinforced crew beck offered a tighter fit than other shirts within this category while we particularly liked the use of flat seams. 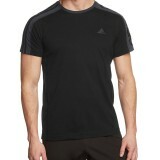 Besides the superior sweat-wicking capabilities, we enjoyed the stylish adidas logo found on the front left-hand side. As it is made of pure polyester, it did not lose its form even after multiple sessions and washes. Finally, colours such as forest green, royal blue, navy and black were all available. Like any sports garment, our panel found a few disadvantages that should be mentioned. Firstly, these shirts were only offered in solid colours. This might not appeal to those who are looking for a wider selection of designs. Also, these shirts claimed to offer a “loose fit”. There were a few cases when the shirt actually shrunk once it became wet. This could be slightly uncomfortable when it is extremely hot and humid outside. While the shirts are quite durable, multiple washes may cause colours such as navy or royal blue to fade over time. We conclude that Climalite is a great fabric to consider if you want to stay cool and dry this summer. Barring slight issues with fit and selection, this line of shirts receives our approval.